What it is: a working colony comprised of 3-5 combs of bees pulled from an established hive and put into a mini-hive. A good supplier pulls combs of bees with brood in all stages, some real food (both honey and pollen), and a proven queen. She may be their mother but, more likely, a freshly-mated, spring queen is added, similar to a package. The bees don't want to kill her as badly though, because the brood distracts them. The supplier should maintain this new mini colony for several weeks, to make sure it's functioning. The equipment and work involved are why nucs are expensive. Price: let's just say $150 to make it easy. When to Order One: Start shopping in November. Good producers are often sold out by February even though delivery won't happen until May (late April at best). Problems with Nucs: Nucs take longer to produce and become available later in the Spring, like very late-April if you're lucky, but more likely May. Selection may be slim as there are fewer nuc producers than package producers. You are getting both bees and equipment, and that equipment is typically Langstroth. I don't know of a single producer of Warré nucs. I know of only 2 places selling Top Bar nucs within driving distance of Denver. (Without frames to support the wax combs, TB-nucs tend to be come-and-get-'em pickup only.) Both producers use Langstroth-length top bars so, unless you're running a Les Crowder style hive, you're probably going to have to trim the combs to fit your hive. These Top Bar Hive nucs cost $135-$155, about the same as Langstroth nucs. For the same money, you can have a Langstroth nuc delivered to Denver, and then just deal with the frames. 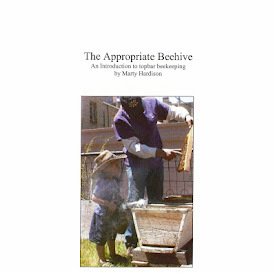 ZiaQueenbees.com - Las Truchas, NM - selling "Cream of the Crop" proven overwintered queens! Pottersranch - Mayhill, NM - 5-bars of high-altitude bees! Got Framed Bees and a TBH? If you're trying to jam frames into a TBH, you can cut off the side- and bottom bars then trim the comb to fit. Phil Chandler calls it the chop-n-crop method. It's destructive and disruptive, but it is fast and works. As usually, you need the right tools. Most foundation in nucs is plastic so you'll need heavy duty snips. Next-best Option: an established hive! If you are in the CO/NM area and have a couple hundred bucks burning a hole in your pocket, Grampa's Gourmet will have single deep established colonies available (probably in early May). Note: Brent Edelen's bees are honey producers… start shopping for a honey extractor now.